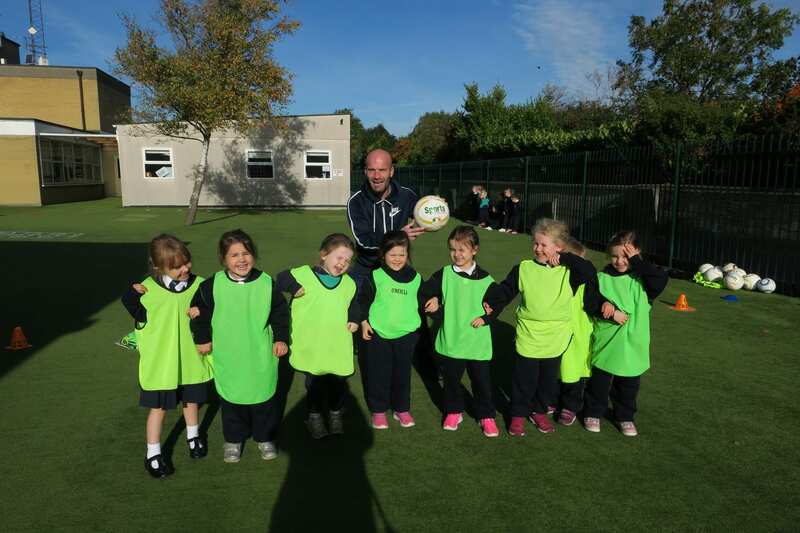 This year, some of our classes were lucky enough to have 2 weeks of training from our local football club, Terenure Rangers F.C. Our coach Mick taught us some exciting games and we had a chance to play a five-a-side football tournament. We had a wonderful time and a number of the girls are hoping to play football with the club in the future. Thanks Mick for coming to Saint Pius X G.N.S. !